We provide outside and undercover storage for touring caravans, motorhomes, trailer tents, boats and vehicles up to 8 meters (26 feet) shipping length. We can help with servicing and repairs, plus we also provide a caravan collection or delivery service if required. We are open 365 days a year and storage spaces are available for any length of time, from one day up to a year... or more. 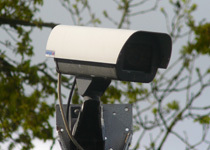 All units are stored in a hard surfaced, fenced compound with CCTV and access control. 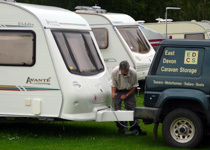 When not required, trailers and touring caravans are carefully parked in a restricted area by our experienced staff. This relieves you of any difficult reversing operations and keeps your unit safe from any interference or accidental damage by others. Motorhome owners have a designated parking space and are welcome to leave another vehicle in their space when on holiday. Security is very important to us and we are accredited with a Gold security award through the Caravan Storage Site Owners Association (CaSSOA). A secure, well managed storage site brings numerous benefits and many insurers will now offer discounted premiums if you store your caravan at an approved CaSSOA facility. All units must be suitably insured and regularly maintained by you. In particular, touring caravans and trailers should be kept serviced so that lights, brakes, tyres, tow hitch and jockey wheel are all in safe working order. All owners are required to complete a storage agreement with us. We will also require proof of identity and address and current insurance.